Since 1981 when the first baby was born using In Vitro Fertilization, the treatment has revolutionized the way babies come into this world. From then till 2003, 1 million babies were born with the help of the treatment and this number increased to 2 million in just two years. But a new analysis worryingly suggests that the risks associated with IVF are outweighing the benefits with the overuse. Dr. Esme I. Kamphuis of the Centre for Reproductive Medicine at the University of Amsterdam in the Netherlands and his team published the results of their analysis in the BMJ. They say that IVF treatment was initially suggested for women who had fallopian tube disorders and men who were severely infertile. But over the years the treatment has been used for other conditions associated with fertility and even those cases where the fertility issues were unexplained. Between 2000 and 2010 researchers say that while the number of annual IVF cycles in the US increased from 90,000 to 150,000, the proportion of IVF cycles for tubal problems reduced from 25% to 16%. Also, for couples with had unexplained fertility issues, 25-30 percent underwent IVF but they could have conceived naturally, researchers say. The authors also noted that in many cases, how long the couple had been trying for a baby naturally was not recorded. In fact many countries did not collect data to record the infertility duration. The research points at the harmful effect of In Vitro Fertilization on the mother and the baby. “Multiple pregnancies are associated with maternal and perinatal complications such as gestational diabetes, fetal growth restriction, and preeclampsia as well as premature birth. And even singletons born through IVF have been shown to have worse outcomes than those conceived naturally,” they write. Children born through IVF may have high blood pressure, adiposity, glucose levels and more generalized vascular abnormalities, compared with children who are conceived naturally. 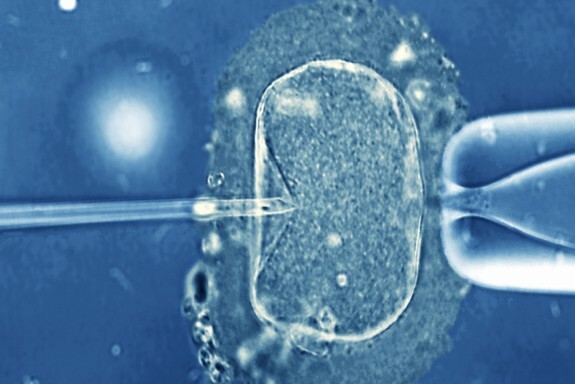 “These effects seem to be related to the IVF procedure itself rather than to underlying subfertility,” the experts add. The experts note that couples should be warned about these potential risks before the treatment, especially if they can conceive naturally. They add that those who are funding the treatments are not funding the studies that may show the long term effects of IVF and believe that those who are undergoing the treatment need to know the long-term risks before getting the procedure. “IVF has evolved in many parts of the world as a profit-generating industry that values the money brought in by immediate gains of pregnancy and live birth over long-term considerations about the health of the mothers and children,” they write. IVF treatments have been a blessing for many childless couples but the potential risk shouldn’t be ignored. While a stricter approach to who can use the treatment and who may conceive without IVF is needed, it is also necessary that those who are undergoing the procedure, make an informed decision after looking at all the pros and cons.